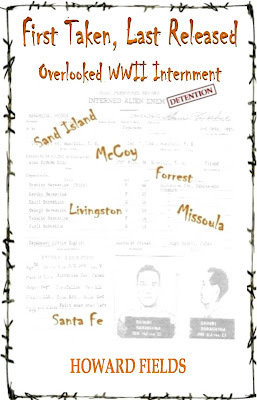 Donald Trump's calls for interning Muslims and the upcoming 75th anniversary of the attack on Pearl Harbor that prompted the time when America did intern an entire class of people make First Taken, Last Released: Overlooked WWII Internment a timely read. A short and easy read, the book follows one of the first 160 men taken from churches, temples or homes in Honolulu before the smoke cleared over Pearl Harbor. He and about 1,700 others were taken in Hawaii during the next several weeks, long before the more than 120,000 Japanese and Japanese-Americans were taken on the West Coast beginning in February, 1942. Much has been written of those 120,000, mostly families, but there is little about the first men taken and held in men-only barbed-wire camps for the duration of the war. Some, as with the subject of First Taken, were not released until three months after formal surrender by Japan on Sept. 2, 1945. 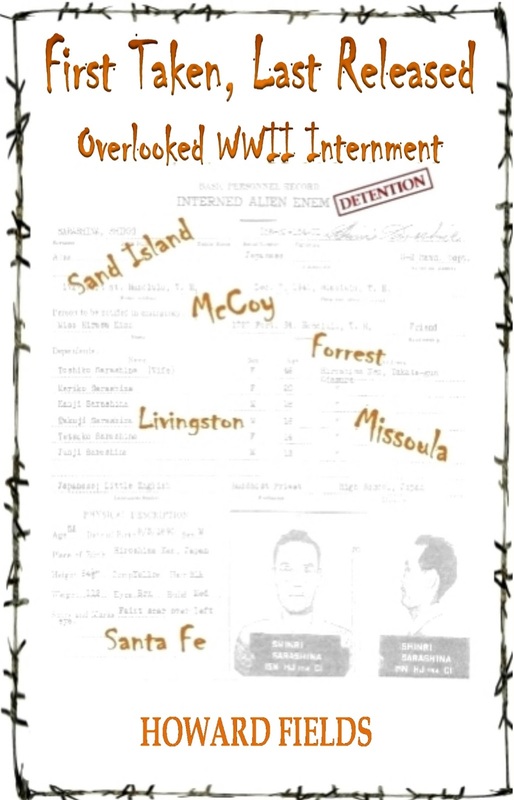 These men were moved from camp to camp, in Wisconsin, Tennessee, Louisiana, Montana and then New Mexico with little, if any, contact with families or friends. The man we follow, a Buddhist minister, had sent his family to Japan before the war to be educated there, and they were trapped there when the war broke out. One son survived the atomic bomb dropped on Hiroshima, another endured two years in a slave labor camp in Siberia, kept on the edge of starvation. First Taken also is important for its new perspective on the lead-up to the Japan attack on Pearl Harbor. It relies on its own translations of recently released transcripts of the meetings of Japan's leadership, including Emperor Hirohito, in which they discussed whether to attack. It shows the extreme dysfunction of Japan's leadership at the time. That, and other parallels with the U.S. leadership today, should send chills up the spines of Americans and the rest of the world as a presidential candidate calls for a return to those days of internment and belligerence. First Taken, and the book from which it was extracted, Tommy's Wars: Paradise to Hell and Back, are available in the usual places: Amazon , by order from a book store probably no longer near you, or directly from the publisher. 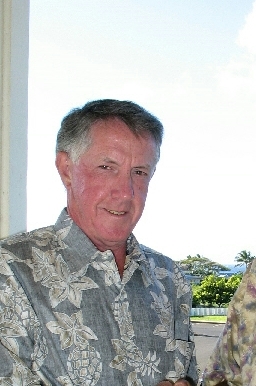 Howard Fields is a semi-retired author, after a 35-year journalism career in Washington, D.C. Now in Hawaii, he established his own publishing house and authored First Taken, Last Released, which follows one of the very first 160 of those men through his four-year ordeal. Shinri Sarashina, a Buddhist minister in Hawaii, was moved with no advance notice from camp to camp, all men-only, and no contact with family or children until he was among the last few dozen released three months after Japan's formal surrender.